Advanced Outlook recovery tool can restore Outlook mails from multiple PST files on a single go. 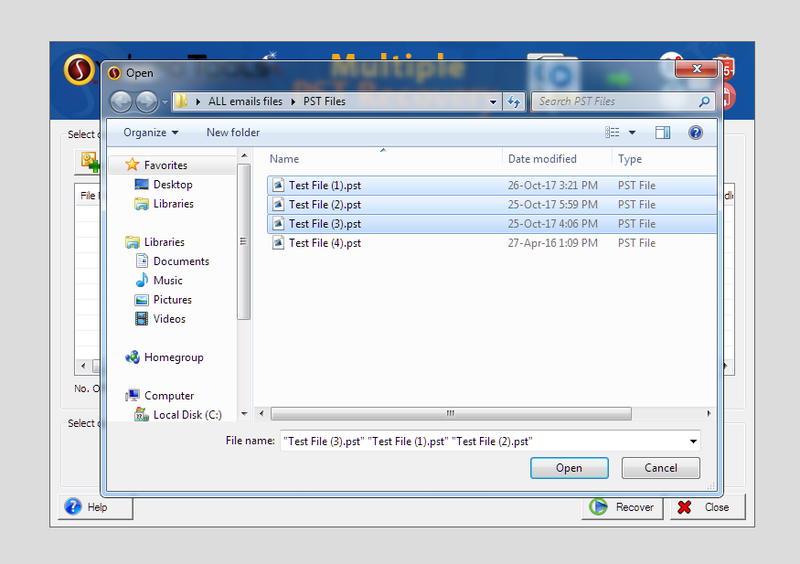 Now there?s no need to select PST files one by one to perform Outlook email recovery. It can scan corrupt PST files and recover mailbox items like email messages, contacts, calendars, tasks, notes, journals as well as attachments without any hassle.